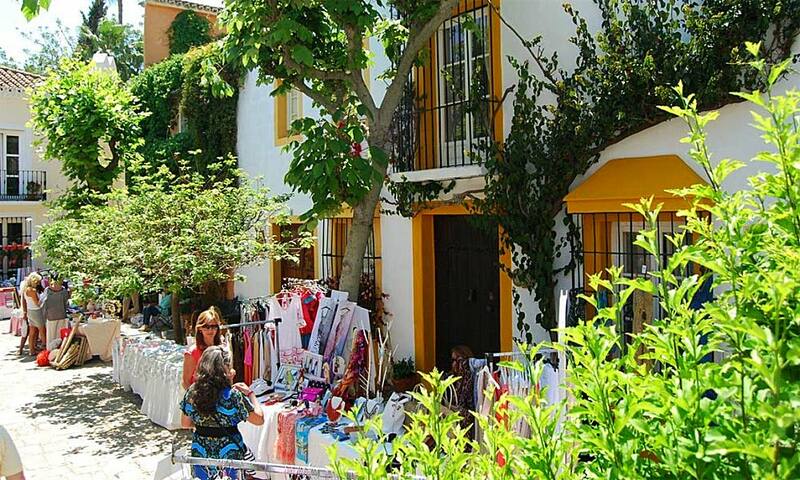 Hippy chic, the most exclusive Marbella street markets. Let’s go shopping! Silver bracelets, necklaces, earrings, purses, hippie long dresses, scarves, sandals… Would you like to know where the most exclusive street markets in Marbella are? We are going to tell you. 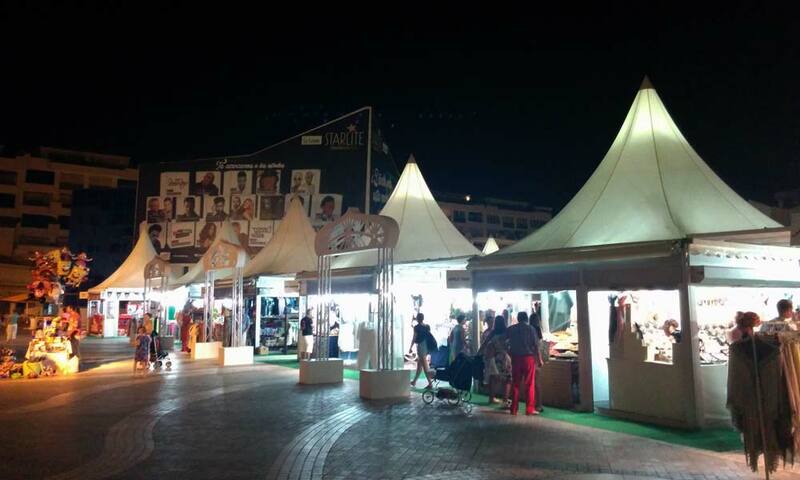 Make the most of your vacation to renew your wardrobe in the most VIP street markets of Costa del Sol’s capital. El Patio is the classic Marbella market for the most exclusive shopping of the town and makes a perfect combination between love and business. On the 18 stands at El Patio there are more than enough exclusive attractions: from an antique piece brought from Paris in the 50’s to the latest in natural remedies, passing through fair-style shawls, roses bread and perfumes. Behind the counter, organizers do their utmost to explain to visitors that part of the money that is raised will go to the NGO of Cesare Escariolo, that the basketball player Sergio Scariolo created to help families with children in cancer treatment. In this charming spot, where the luxury of tapas and shopping to the rhythm of international Dj’s music becomes a reality. Because the area where the market is held is one of the busiest of all Marbella, parking is hard to find, so we recommend you either go early, to avoid having too many parking problems, go by taxi or by public transport, as the L1 Marbella city buses stop very close to the marked location. Another good option is to go by foot along the promenade and enjoy the great views on the way to the market. 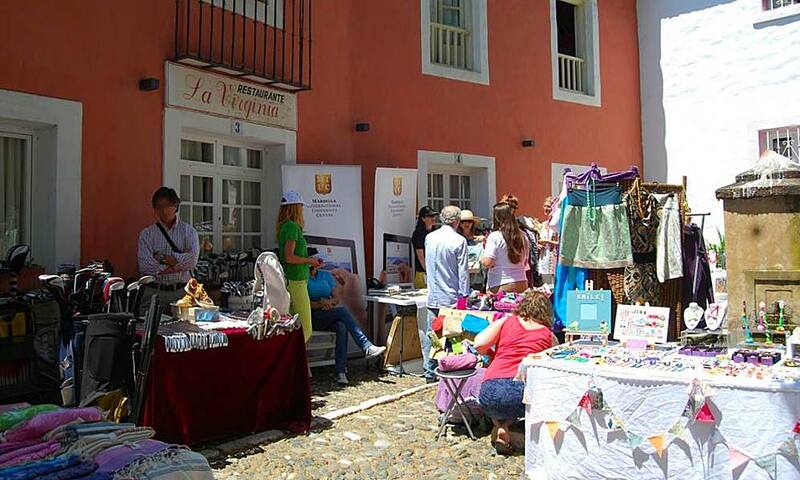 The La Virginia street market is one of the most anticipated social events of the calendar for crafts lovers and Marbella can only enjoy it twice a year: in spring and Christmas. This market has become fashionable 30 years ago by the hand of the family of Karine Maeck and since then its influx has increased because more and more visitors that arrive for the first time discover not only a nice event, but also an unknown corner of tourism in Marbella, the estate La Virginia, thanks to this market La Virginia turns its cobbled streets, its balconies full of flowers and its small chapel in storefronts with the latest in fashion and design. La Virginia is filled with homemade food stands, music, hats, accessories, decoration and fashion among others, although among the hundreds of luxury items that you can find, Borsalino and Panama hats are the most popular. Bear in mind when parking that this market is located in a typical housing estate and that this is one of the more crowded by what we recommend that either you go early in order to not have problems when parking or go directly taking a stroll or by taxi since currently no bus line reaches this point. Puerto Banús always has been synonymous of excellence and when is heading to its half century of life displays a shinier image than ever and next to the already extensive and elitist commercial offer we can add since 16 years ago one of the most emblematic street markets of Spain. Known as Muestra Internacional de Artesanía, is installed in the Plaza Antonio Banderas of the city and is a craft street market listed as the best for its features at national level. 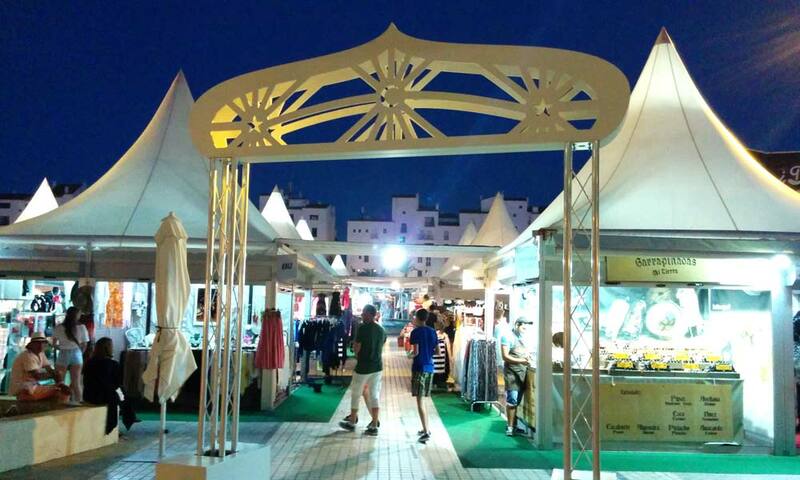 The street market gathers more than 100 high-quality exhibitors and brings on each summer to Marbella the cultures and traditions of different countries through a wide range of designs. In addition to a complete gastronomic offer, visitors can enjoy an unforgettable day of shopping in which there is no shortage of attractive proposals focused on families, like music, street performances, cinema and shows in the Goya Theater. We point out that parking is difficult by what we recommend that you leave your vehicle in the Saba public car park also known as the one of Plaza Antonio Banderas. 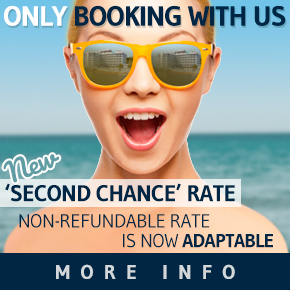 While its rates are not cheap, the first half hour costs a little more and then the price per minute lowers depending on the time of parking. 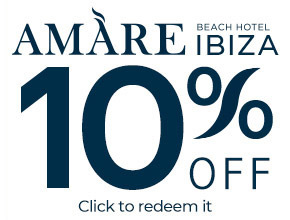 There are special rates for mornings, afternoons, nights or if you wish to park your car for more than one day.